Our magazine, "Ale Tales", is published four times per year early January, April, July and September. It is a 16 page magazine packed with local and national beer related articles and other information about our branch and it's activities. 1,500 copies are printed and distributed to around 100 outlets that sell real ale in our area! 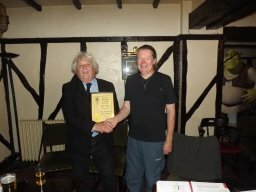 In 2012, Ale Tales won the most improved CAMRA magazine award.